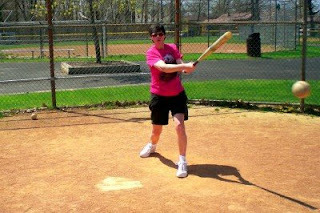 Getting Ready For Softball Again--Yippee! God Only Made One You--What An Awesome God He Is! I Added Link Within--What Do You Think? Foolish Things--Where Does the Pizza Go? Foolish Things--How Much Did That Cost? How Will You Follow Your Favorite Baseball Team? First off, for anyone who has Osteogenesis imperfecta (O.I.) and their families and friends, my prayers and thoughts are with you. As for the book, I loved it!! This is a hard-to-put-down book. I went back and forth with how I felt about the people in this book. So many twists and turns and story lines everywhere. It's just awesome!!!! It left me wanting more, and then, if that's not enough, the last 50 or so pages were even better!! I finished it 3 days sooner than I expected I would. Nineteen Minutes is the standard I judge Jodi's books by because I really liked it a lot! That was one awesome book and this matches it. I cried at the end, hated the ending!!! I've read so many good books this year so far--this is one of them for sure. Read this book, you will never forget it! This is the first book in the Kanner Lake series and is splendid! Violet Dawn is a double mystery! It has a murder mystery plot as well as a personal mystery plot. The author builds to a climax and then switches to another story line altogether and leaves the reader hanging. This pattern occurs throughout the book and kept me hanging on--kind of like a soap opera. It has both suspense and action that made me want to keep reading. I was hooked right from the start along with Leslie, the small town reporter looking for her big story. I recommend this to anyone who likes suspense or mysteries. This book is another book in the Kanner Lake Series. This is the second book I've read by this author. Her books are good. They go quick but to me there is not a whole lot of substance. Her books will not stay with you if you know what I mean. This book gives away the killer too early in the story. It does have a nice twist to it concerning the main character though. If you like nice quick reads and a good story, then you will like this. If you want a book with more staying power, pass this by. Coral Moon is a murder mystery that involves evil spiritual forces and that was a hard one to figure out. It is certainly unusual and spooky. It deals with ghosts, curses, demons and seances. I didn't like the creepiness of this one but it kept my interest to the end. I liked Crimson Eve because there was excitement and a fight for survival right from the start. It dealt with consequences of sin and showed how our actions can have an impact on others. Carla, the main character, is pursued by a hit man hired by someone in her past and goes on the run. She has kept a lot of secrets but the truth comes out eventually. Fantastic book that I think women would especially enjoy. This was hard to put down. I loved Amber Morn. It is the first one I ever read by Brandilyn Collins but I will be reading more. "Amber Morn" is filled with action and suspense brought about through a hostage situation in a small town at a café where older people do a blog together. I finished reading this book in just two days. It held my interest and I was anxious to keep on reading. It is the last book in the Kanner Lake Series but I still enjoyed it even though I hadn't read the other three first. It has Christian overtones through it but does not preach at all. I liked the way it ended too. You can read Amber Morn in two days. I would have liked the characters to be more developed. I haven't read the other three books in this series yet so maybe the characters were already more expanded. I will probably read the other three at some point. It was hard to pick just one book for each of us this month, we've read so many good ones. As you can see, I picked the whole series, it was so good. I recommend reading them in order so that by the time you get to the last one, you know the characters. 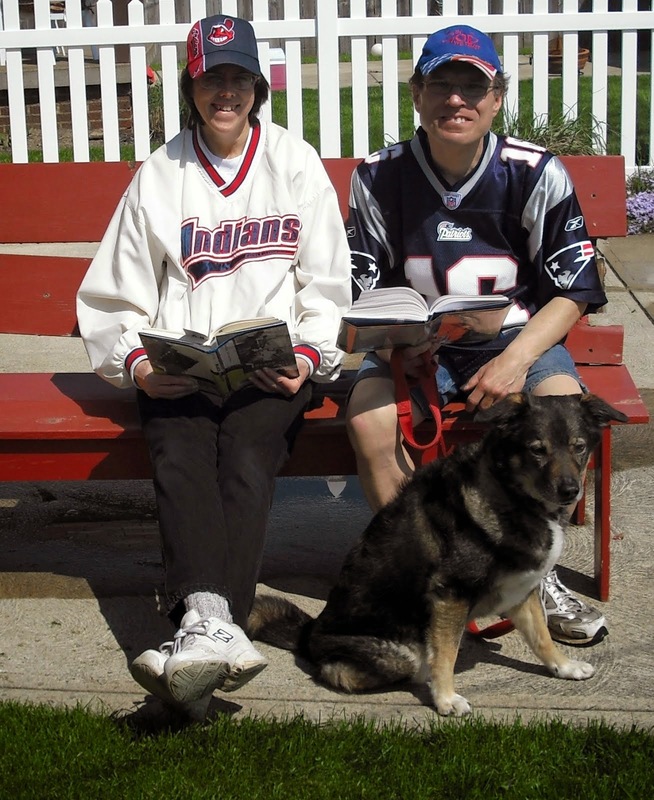 Check out our other book reviews for April at our Zemek's Updates Blog. This video is of a bear doing a victory dance after the Boston Bruins hockey team swept the Canadians in the conference quarterfinals. Even if you don't particularly like hockey, it's cute! Gerard just showed it to me tonight. 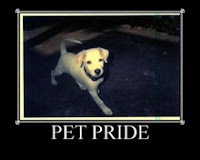 Any pet owner knows that one of the saddest things in life is the loss of a pet. I've been through this experience with birds, dogs and cats. We get attached to our pets and love them so much that they do become a very real member of our family. Even though they are not human, they do have personality and routines that we become accustomed to and miss when they are gone. Here are some things that I thought I'd share that have helped me when I faced this situation and maybe it will help someone else too. I certainly hope so. 1) Take pictures of them while they are alive. I enjoy seeing pictures of my pets. It stirs up happy memories for me and I like remembering them. It's important to put these pictures where you will see them. In fact, I chose a couple of the better pictures and had them blown up to poster size, framed them and hung them in my home. I did this while my pets were still alive (to show them how much I love them). 2) Take some video of them in action. Video is especially nice because it includes sound as well and when I watch a video of the first day we brought my first cat, Moe, home it's like reliving that fun day all over again. 3) Write about them. For me, the first thing I did after my cat died was to write a blog post about him. It helped me memorialize him and it was helpful to share my pain with others. There are actually websites dedicated to pet memorials. 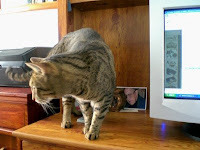 One I used that is free is: Memories of Our Pets. Here's a post I wrote about Moe: We Still Miss You Moe. 4) Get Another Pet. Give yourself a little time, but then get another pet. It won't be exactly the same as the one you lost, but there are many homeless animals in shelters waiting for a good home and now you have the opportunity to help another one. We waited 4 1/2 months before getting Manny after Moe died and I'm so happy we did. Manny is a great cat too and although we had a rough start, he is affectionate and has a great time playing with our other cat, Spunky Doodle. 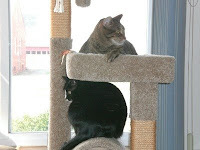 Spunky came in as a kitten and Moe was very angry about that at first, but they became friends after some time and Spunky missed him when he died. Spunky was happy when we brought in Manny and they quickly bonded. 5) Bury the pet close by. When our Dickie Bird and Moe died, we buried them in our backyard and every spring we plant flowers where we buried them, referring to the spots as Dickie Bird's garden" and "Moe's garden.." We also bought a grave marker for Moe from PetSmart for his garden. Sometimes this is not possible, but if it is, I suggest you do it. 6) Maybe you couldn't save your pet, but you can make donations to shelters or sanctuaries that will save others. 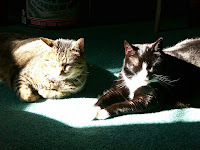 I was devastated when three of my dad's cats, Sweet Thing, Sylvester and Softie, outlived my dad and I couldn't take them in for various reasons and had to have them euthanized. They were so important to him and I knew this was a huge concern for him that his cats would be taken care of if he died before they did. I felt like I let him down but two had feline aids so couldn't be with other cats and the other all black one was sickly and had claws so I couldn't bring it into my home with my declawed cats. I couldn't save these cats but by making a monthly donation to Caroline's Kids Pet Rescue, I am able to help save others. This is a cat sanctuary that takes in all types of cats including feral, those with feline aids, and elderly cats, in a home without confining them to cages. It's too bad I didn't know about this place before putting down my cats because they would have taken them. What things have helped you cope with the loss of a pet? Inspiration for this post came from reading the post about Mufasa at Cat Tales. Mary at Mother Nos Best gave me this wonderful award. Really don't think I'm all that awesome though. * List 7 things that make you Awe-Summ and then pass the award on to 7 bloggers you love. * Make sure to tag your recipients and let them know they have won! * Also link back to the Queen that tagged you. You can copy the picture of the award and put it on your sideboard letting the whole world know..... YOU are The Queen of Alll Things Awe-Summm! 1. I'm created in God's image. 2. God loved me enough to send Jesus to pay for my sin. 3. I look for ways to be a blessing to others. 4. I like to help people if I can. 5. I'm pretty generous with charitable contributions. 6. My cats think I'm awesome for being their mom, letting them rule the house and putting the cat tree right in front of the large front window for them. 7. My husband thinks I'm awesome for being his wife. Mountain Woman at Red Pine Mountain in Vermont--This is my good blogging buddy who writes about her life on her mountain and has a way of bringing you right there. 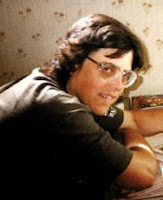 She always seeks to help others through her blog, including promoting the book I wrote about my dad. She is my biggest fan and an amazing, wonderful woman. Her blog is fantastic! Modern Mom--Gives fantastic household hints. A Better Woman For God and Family--This is a blog I just discovered recently and I love it! It is well-done by a Christian woman who shares how God works in you life. UPDATED: Unfortunately, this account is suspended as of 4/29/09 but maybe it's only temporary--I hope so! Heidi at Health nut Wannabee mom Gives tips on foods and fitness. Melissa at The Erickson Looney Bin She has a fun blog here of random things that I enjoy reading. Her other blog is Your Fun Family which is also very good. Lots of fun things for kids to do. Chris at The Cat/Dog Log. Lots of interesting posts, including guest posts about pets. I always like the pictures here too. Maria at Maria Michelle's Furkids and Animal Rescue. This is a blog by a huge animal lover who posts funny animal pictures which always make me smile. The Ad Master blog has been very helpful to me with many blogging tips and technology information. It's hard to read her blog posts without learning something. I am going to join a co-ed church softball league this summer. I used to love playing softball so am looking forward to it although I haven't played in over 13 years! We walked up the the neighborhood fields and Gerard helped me practice some. He doesn't like to bat. He said he would join if he could just pitch and not bat like he used to do at his family picnics. He pitched some to me and some I just tossed up and hit. In this picture I am hitting to left field to make sure I don't hit the camera. I do not hit with a lot of power, never did, but I can place the ball pretty good. I love hitting down the left field line and then changing it up and hitting one to right field, especially if there's a runner on first. I try not to pull the ball because it usually results in a ground out or pop-up and an easy out. I try to get the fat part of the bat on the ball. I like the ball waist high best but can also hit low balls well. I don't like the high balls so usually stand back as far as I can in the batter's box. To hit to right field, I take a step in that direction and as I swing, try not to bend my wrists until after I hit the ball. It's kind of hard to explain. 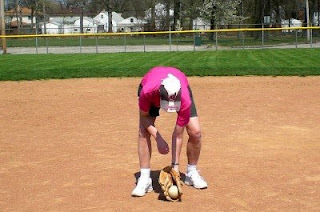 Since I do not have a strong throwing arm, my favorite position is first base since am good at catching. I also don't mind fielding grounders. I did have a first-baseman's glove but can't find it anywhere. I might have given it away or possibly thrown it out because the padding was worn. The glove I have on in the picture is a fielder's mitt. The difference it that the first baseman's glove has a thumb hole but just little loops for your other fingers which are all close together and separated from the thumb with a big web between them. This is really good because hard throws don't hurt so much. I think I'll have to shop for one before Saturday when our first game is. I even ran a little, but I know I am slow. This I can practice some more on before Saturday. I need to get my knees higher so I can go quicker which I generally don't do running for the bus. It's kind of hard while carrying my big bag of things with me. After this we had lunch at Kenny King's, walked at the park, then went to the gym. I sure wish Saturdays were longer than the other days, there's so much I want to do! What fun things did you do this weekend? Have any carpet dents from heavy furniture that you moved? 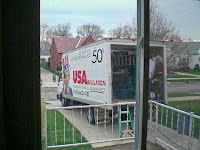 We did after moving furniture when we had our house insulated and I found how to fix them at Modern Mom. All you do is put an ice cube in the dent, after it melts, blot excess moisture with a towel and vacuum. While reading through the discussion forum set up on Problogger for his blogging tutorial, I discovered that I can get a free gravatar at http://en.gravatar.com that will connect with my email address and show up by my name next to comments I leave on forums that are enabled for that. I'm not quite sure how it works exactly, but I see my picture is now by my comments left on this discussion forum. Not sure if I want to show my picture or my cat's--big decision. For now, I show mine. I discovered http://justtweetit.com this week through reading 13 Twitte tips and Tutorials For Beginners. Just Tweet it is a directory where you can find others on Twitter with similar interests as you and also you can submit your information into the directory if you wish. Follow me on Twitter at www.twitter.com/kzemek. Question: Now that I'm on Twitter, I'm not sure if posting at 5 a.m. is the best time to do it. Does anyone know what the best time would be to get the most exposure on Twitter. I have it set that whenever I update my blog, a tweet is automatically generated with the post title. I just discovered a great hockey blog through participating in a discussion forum at Problogger. It is packed with lots of up-to-date information and is just a fantastic blog for any hockey fan. Gerard subscribed to it. It's called The Hockey Writers. Ana at Chica & Pumuckl designed both my blogspot blogs and was kind enough to add a navigation bar to this one for me. I went to her How To Create Pages in Blogger post to get the instructions on how to set up my pages. It's a great "How To" post. If you don't have a navigation bar on your blog, you may want to add one to unclutter your sidebars some. Thanks for your help, Ana! I found this one at Boogers, Screams, Headaches & Dreams with an open invitation so I decided to do it. Gerard's answers are in bold. 2. Going out to eat. 3. Playing tennis with my husband. 4. Buying and planting flowers for our yard this spring. 6. Helping with Parma Heights Baptist Church's Sports Camp and Vacation Bible School. 7. Posting on my blogs. 1. Washing own car again. 3. Playing tennis with my wife. 6. Going to the zoo and having a picnic lunch. 1. Pet and played with my cats. 2. Fed cats and cleaned litter box. 3. 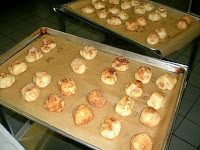 Read and commented on blogs. 5. Rode to and from work on a bus. 6. 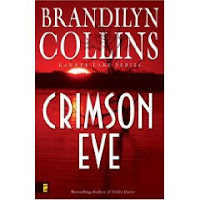 Finished reading Crimson Eve by Brandilyn Collins. 7. Posted book review on Amazon, Shelfari, Goodreads and our PNN blog. 1. 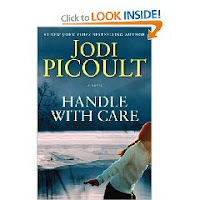 Started reading Handle With Care by Jodi Picoult. 4. Went to the gym. 6. Met me at the bus stop. 8. Took out the garbage and got rid of our gas mower. 1. Help at an animal shelter regularly. 3. Be in two places at the same time. 6. Go canoeing with Gerard sometime. 7. Put an end to all child and animal abuse. 3. Go to a Red Sox game at Fenway Park. 4. Go to a Buckeye football game in Columbus, Ohio. 5. Ice skate and play hockey. 6. Be a sports announcer. 7. Live on a deserted island. Shelves provide a lot of extra storage space which my dad was always in need of. I created this little slideshow to share all the different shelves he made and had this on my sidebar (I did forget some). Now that I have the link within plug-in activated, I thought it would be a good idea to make a post about this and remove it from my sidebar in an effort to improve load time for my blog. I hope this helps and plan to do some more like this. One of the reasons why I do not wear skirts or dresses to work is that my feet can't take being in heels all day. In fact, I haven't even been wearing skirts or dresses to church for about six months now because my heels just are not comfortable. Although I'm not stylish in the least, I do draw the line at wearing my clunky L.L. Bean mocs or tennis shoes with skirts or dresses. I really do not like heels but finally decided to buy a new pair for the summer. I ordered this pair called Soft Style by Hush Puppies from Mason Shoes because they carry narrow widths and the catalog said they were comfortable--HA! When I went to the store first, none carried narrow. Maybe my feet are just used to medium now and that's why they felt so uncomfortable. Maybe I'm just not used to having shoes that fit right. Yet, shouldn't you be able to walk without your feet hurting? I walk very slowly in these too which is frustrating for me. 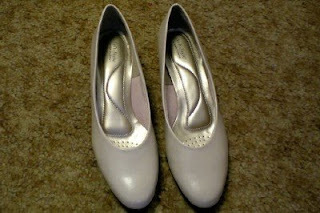 I wore these new shoes on Sunday and could barely walk, they hurt my feet so much. If I was sitting, they felt okay so I sat down to teach my Sunday School class. Just walking to and from the car and through the halls of the church was killing my feet. It seemed like the top part of the shoe was biting my foot! I never did like getting new shoes because I never know if they feel uncomfortable just because they need to be broken in or if they're just a hopeless case and I should return them. How long do I try these things? Any tips for how to adjust to new shoes? These are size 7A. What size should I get if I return them? This is why I don't like buying new shoes! What a hassle. UPDATED 4/21/09 AT 8:08: In view of the comments on this post, I have decided to return these shoes and try again. My feet are happy to hear it! 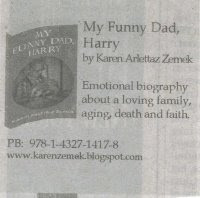 Speaking of shopping, check out my What Kind Of Shopper Are You post on "My Funny Dad, Harry" blog. There's nobody else that has quite your style. in all of the world no one takes your place. There is just one you. in most every way you're very distinct. When I consider all the people of the world since the beginning of time and no two are exactly alike it is mind boggling how creative God is. We are all God's special creations for his purpose. Today was just beautiful. Finally had good weather on a Saturday! This morning Gerard went to the gym and I had time to participate on some discussion forums while waiting for the temperature to rise. Gerard and I took advantage of the warm sunny day by playing tennis for the first time this year. We played an hour and a half which was longer than usual. I lost! He used his new racquet for the first time and won 6-3 and 6-4. We had a lot of deuces and I was just not up to speed. He played very well though but it just felt so good to be outside playing again, I really didn't mind losing. We had lunch at Steak-n-Shake which was very good. I was so thirsty after playing tennis that I drank two waters right away. I had a vanilla shake, and a hamburger. I didn't want the fries but they brought them anyway but didn't charge me for them so I ate three. Gerard had a diet Coke, fries and a hamburger. I had computer time again and cat time. Then it was off to the gym for my workout with the trainer on upper body. My legs were kind of tired from tennis. After that, we went for a walk in the park and saw kids playing in the creek, ducks swimming and a lot of dogs. We talked for a bit with one of the dog walkers there that volunteered at the Parma Animal Shelter. Then we went to check out the new animal hospital and veterinary clinic/pet spa that was recently built right next to the Animal Shelter that is only about five minutes from our house. We wanted to check it out because we're thinking of taking our cats there for their annual checkups instead since it's so close to us so would be less stressful for them. Then, to top things off, the Indians whop the Yankees big time again--22-4! LOL!!! I watched from the 5th inning on. I had hoped to play some catch, but my feet were just too tired and the Bruins are on so Gerard is watching that now. What a great day, I hate to see it end! How was your Saturday? What did you do fun? At Red Pine Mountain I learned about a website that you can sign up on to adopt a troop or a troop member. There is a project called "Operation Shoebox" where Americans can send items that are requested by the soldiers to them through this project. To join in with Mountain Woman in this project, just stop by her blog and leave a message to the troops and she will include it in her shoebox. I found an easy fun recipe on how to make chocolate bird nests for Easter (or spring) with just melted chocolate and chow mein noodles at Your Fun Family. 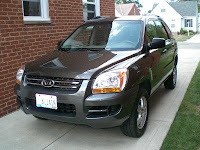 Learned how to add the Link Within plug-in this week to both my Blogspot blogs. Learn about it at my previous post: Added Link Within--What Do You Think?. I discovered another author that I like a lot: Brandilyn Collins. She has written numerous books but I am starting on her Kanner Lake Suspense Series. I just happened to choose Amber Morn when browsing the library shelves because it was a story related to blogging. Amber Morn was the 4th and last book of the series so then I decided to get the others to read as well. I finished two in just four days and am now starting the second book in the series today. Visit her Seatbelt Suspense blog at http://www.brandilyncollins.com. Grady Sizemore, my favorite Cleveland Indian, hit the first grand slam in the new Yankee stadium in the 10-2 massacre over the Yankees! Go Tribe!!! Link back to the original start of this Random Picture Challenge. 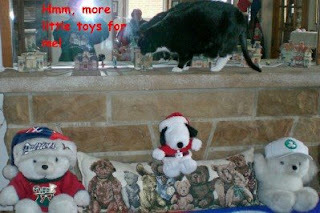 I had set up my Christmas village on the mantel and Spunky Doodle found it very interesting. She liked going up there and batting the little people and especially the little tree off. Feel free to join in this and be sure to link back to the original post at 4 little men and girly twins. I added what I think is a very useful feature to my blogs at the bottom of my posts called link within. In reading other's blogs I came across links with little thumbnail pictures at the bottom of their posts that suggest other posts written by them that are related. I thought that was a nice feature and found myself reading more on their blog that way so decided to add that feature to my blogs too. It was easy to add (unlike "commentLuv"), but it takes a day or two for it to work because it has to have time to "crawl" the blog. I hope you will enjoy this new feature and maybe consider using it on your blog as well. All you need to do is click on "related stories by link within" found under the thumbnails and it gives simple instructions to follow for adding this cool feature to your blog. I'd like to know what you think of it, especially if it encourages you to read additional posts. Since our pipes froze last winter we decided our next home improvement project would be insulating our attic and yesterday it was done. Naturally, we had to clear out everything from the attic and tossed out a little over half of what was in it. Some stuff was even in there yet from the previous owner. 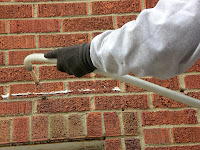 We had to take down the pictures on any outside walls just to be on the safe side so that they wouldn't fall down when they drilled holes around the house in the cement between the bricks so that the insulation could be pumped into the walls. The drilling made a lot of noise so our cats got scared and both hid under our bed (shown in video below). I took their food, water and their favorite litter box in there for them, but I don't think they used any of it. If you want to know more about the procedure and materials used, click hereto check out the video on the USA Insulation web site. That's what convinced me to got with this company. 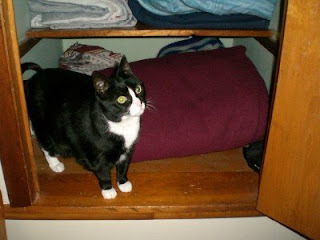 Time to Take Off A Bedspread--Spunky Was Happy About That! It's time to remove our thick polar bear bedspread. 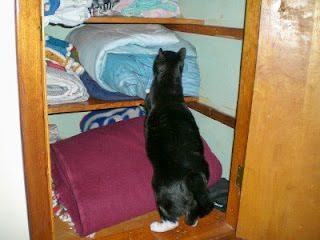 I folded it up and put it in the linen closet in our upstairs hallway and before I knew it, Spunky Doodle jumped in! She loves exploring in there and proceeded to go way in the back and curl up on one of the throws. I really thought she was going to spend the night so left the door open for her and went to check a little bit later. She was still there but up and walking around trying to figure if she should jump up to the next shelf or not. She finally did try but it was so soft and poofy that she couldn't get a good landing and sort of rolled off and then jumped out, deciding it wasn't worth another try. I was pleasantly surprised when she came to sleep on the bed next to me instead of Manny who had been coming on the bed every night for a month or so. Maybe they've decided to take turns, or maybe Spunky likes the purple spread better that's not as soft as the polar bear one was. I'll have to check out their blog and see if I can find out what's going on with them. This is just a short video of Manny and Spunky. I thought they would "fight" longer but of course not since I had the video camera ready. Still, I think it's kind of cute. 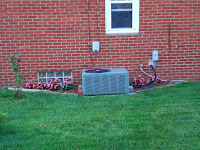 They wanted me to post it on my blog because theirs if pretty full. They think they would like to have a blog on blogger instead of just a page on my PNN blog at http://karen.pnn.com but I don't know if I should start up another one yet or not. To get any traffic to it, I'd probably have to sign theirs up for Entrecard too and I already have two blog that I drop for. I don't really want to have to drop for theirs too. This blogging eats up a lot of time as it is, but there is so much they would like to post about and feel like they don't get the exposure that my other two blogs get. I'll have to think about it. 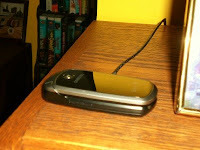 I first learned that parents can get a child location GPS tracking system when I read about it at For Your Protection. It is available through a company called Amber Alert GPS. By having your child take a tiny gadget with them, it will let you know their location where ever they go, providing they do actually keep it with them. For Your Protection is a great blog that I highly recommend. It has a wealth of good information about protecting your family and your home. I just discovered it this week through Entrecard. I found a resource for puzzles for kids this week at www.akidsheart.com where I printed out an Easter puzzle to use for my Sunday School class. It also had word searches and puzzles for the Jewish holidays too. The marshmallow disappears, just like Christ's body when he rose from the dead. They really taste good too! Through The Divine Miss Mommy blog I came across a post telling about how she is participating in an offer from Pro Blogger giving free tips and assignments for improving your blog. I went right over to sign up for this free tutorial from one of the best! At Beth and Cory's Mom blog I found out there's a site where you can design your own shirt! At VistaPrint you can customize your own t-shirt for under $10! The story about getting my cat, Manny, is up on the cat/dog blog today. He wanted me to be sure to let my readers on here know about it. 10 Foolish Things We've Done--Time To Vote For the Most Foolish! Where Does That Pizza Go? Oh, No, My Car's Been Stolen! He doesn't have as many and they don't come close to mine so I combined all his together in this one post. He has accidentally thrown out the cat's pooper scooper several times. What he learned: Let Karen clean the litter boxes. He sometimes tries to change station in the dark and will accidentally hit a wrong button that totally goofs up the TV and then calls me to fix it. What he learned: Turn on a light. One time there was a big snow storm and since my bus would be late, he decided to just leave the car in the parking lot at the corner by my bus stop for me and he would just walk home from there. It was a good plan because he wanted to get the snow shoveled before I got home, but he locked the keys in the car and so couldn't get in the house either. He just waited outside until I finally got there and he was just about frozen. This happened again recently but fortunately, the snow was gone and the temperature was up near 60. What he Learned: Either use the key to lock the car door instead of the button on the door or carry the house keys separately from the car keys. Scenario 10: Oh, NO, Someone Stole My Car! Gerard parked his car on the street one day in front of our house. He was busy watching the Red Sox game and I decided to go to the store quick. Since his car was already out, I just took it but didn't tell him I was going. I figured since he was watching the game, I'd be back before he knew it. Wrong. He happened to look out the window while I was gone and didn't see his car. He immediately jumped to the conclusion that someone stole it and got all upset. He even went outside and started yelling. The neighbor up the street that he works with came over and tried to calm him down. I got back as they were talking and he starts yelling at me for not telling him I was taking his car. What I learned: Always let Gerard know if I'm taking his car somewhere. We get pizza for lunch on Sundays and then I put a couple slices in my Tupperware container to take for lunch a Monday. (This is not the stupid part.) 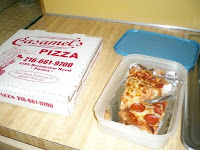 Twice now, I mistakenly put the Tupperware container with the pizza back in the cupboard instead of in the refrigerator! I get so angry at myself for letting this delicious pizza go to waste. I'm afraid it won't be any good if it sits out all night. Clearly, my mind was on other things. I was anxious to get to the computer to read my email and do some blogging. See, it's all your fault! What I learned: I'm still trying to figure it out. How do I focus on what I'm doing in the kitchen? Maybe I should ask Gerard to take care of this task too. Scenario 6: Scenario 6: I Thought I Lost My Cell Phone Coming home on the bus I was going to call Gerard on my cell and discovered it was gone! I quickly ran through me day in my mind thinking how it might have fallen out of my pocket and came up with lunch when I was reading in the library on the couch. I have side pockets in my pants and thought perhaps it had slipped out when I was there. When I got home, I called the night secretaries to check the library for me before looking to see if I even took it that day. Sure enough, there it was on top of the bookcase where I charge it. I never took it that day! What I learned: Don't panic. Check for things around the house first before assuming they are lost. I am honored when fellow bloggers choose to advertise on my blogs so I always would send a little "thank you" note when I approved their ad to run. Since Entrecard has now opened up advertising to outsiders and I find I am getting lots more ad requests than ever before, I changed the setting to automatically approve ads that I've approved of before. Consequently, I am not going to try to send out thank you notes every time a fellow blogger chooses to advertise on my blog. Perhaps this will come as good news to some who feel I just clutter up their inbox with these messages. I just want my advertisers to know that I still appreciate you! I got free club seat tickets for an Indians game from work and invited a family from my church bowling league to go too because my husband wasn't interested since they weren't playing the Red Sox that day. Anyhow, I gave the mother the three tickets at the bowling alley and I kept one for myself and said I'd just meet them there. I was really looking forward to this because club seats are absolutely the best! You get great seats for watching the game along the first base line AND all the free food you can eat!! YUM, YUM! So, I take the 40 minute bus ride to the game and when I present my ticket, it's rejected because it has the wrong date on it for a game that was already played. I flip out! I think, wow, why would they give me the wrong tickets. I should have checked them first. I'm so embarrassed and angry so go back to the bus stop and get a bus home. I'm so angry. First thing I do when I get home is call the family to apologize and their son who didn't go answers and tells me they're in there and were wondering where I was. (This is before cell phones and by now it's about an hour and a half into the game.) Then I discover I do have the right ticket for that day's game after all in my other pocket. By then I figure it's too late to go. It turns out I never threw away my ticket from the previous game that I went to and it was still in my pocket. I pulled that one out by mistake. I never thought to check for the right ticket in my other pockets. What an idiot! Then I'm really mad at myself and just scream, scaring my poor cats. I cried because I felt so stupid and my cats comforted me. What I Learned: Throw away your old tickets once they've been used. Guiding Light is the one soap opera that I was hooked on and watched daily with my mom during supper and even taped after I was married to watch when I got home from work. It started on radio first in 1937 and then moved to TV in 1952, a year before I was born! It's no wonder they ran out of good story lines. The show always had crazy story lines and that's why I liked it, because it was pretty far from reality and just plain entertaining. Some of the story lines I liked best were Reva's (I think it was Reva) split personality, Annie Dutton, Roger Thorpe and Dinah, Roger Thorpe and Alan outdoing each other as who could be the worst villain, Danny and the mob before he married Michelle, Frank and Alaini, Buzz marrying the jewel thief, Lizzie with little dog, India and Philip, Harley before she got married and then the romance with her and Gus, Mindy Lewis, Jonathan and Reva scenes, Alan Michael and Harley and Spaulding vs. Lewis. I quit watching because the story lines got to be so bad and they changed the personality of some of the characters I liked such as Harley Cooper, Gus, and Blake. When they made Josh Lewis a minister, that was the final straw for me. I just couldn't stomach it. Plus the fact that we got a computer and I only had evenings and early mornings to be on it, I'd rather give up the 45 min. it took to watch the show and spend that time on the computer instead. The final episode on CBS is scheduled to air September 18. I might just start watching again in September just to see how they end it. What do you think of soap operas? Is there any you are hooked on? Paying $2,000 for a tiny little black and white ad in the New York Times for just one day to promote my book was the biggest waste of money that I ever did. What I learned: Limit spending to $100 or less for book promotion from now on and preferably not until I can make this up. Concentrate on free things to promote my book. Through the adoption story at the cat/dog blog last week, I discovered a new blog called Home Zookeeper that had a fantastic post on potty training dogs. One suggestion they made for training a puppy was to keep it on a leash and connect it to your waist or belt so the puppy will always be in sight and you can watch it closely to see when it gets ready to go and get it outside in time. 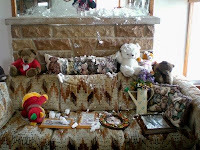 Here's the link: www.homezookeeper.com. At My Kids Are My World I learned that Sears is having a sale right now until April 18 where you can get 75-80% off original prices on fall and winter apparel. You can shop online at Sears.com Click here to shop now. A strange thing happened while making EC drops last weekend--got goofy message pop-up that said computer just got a virus and a box that said it was from Firefox asking if I want to install its virus repair. I clicked yes to install it but FORTUNATELY did not run it. I was leery about it and did a full system scan with my trusty Norton Virus which I had just used this morning. The report came back that it detected one and resolved one. I figured that must have been it and deleted the Firefox virus repair from my desktop. This shook me up and when I went to work Monday, I asked our PC operations person and she told me that was a scam and a 2009 virus is going around, doesn't matter what site you are on. She said to never click on any pop-up window that you are unsure about. She told me to clean out my cookies and temporary internet files too. Good thing I didn't run this thing! My computer is running fine so I think it's okay--whew! Finally, my 401k went up. The first time since May 2008! 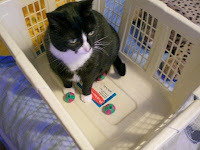 Today Spunky Doodle's adoption story is featured on the Cat/Dog blog. click here to read it. Karen got me when I was just a tiny little kitten and called me Spunky Rooey--by Spunky. How did you get your pet? 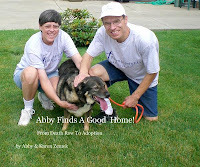 For more pet adoption stories, check out The Animal Rescue Site.